February's Bear Club pack was beset by delays, with kegs stuck in customs and some beers not even kegged in time! But the middle of March rolled around and so did the pack. It's far and away the most sour driven pack with three across the standard and all the extra's. Hophead's never fear though; there's also a couple of big Imperial IPA's! I think a case could be made that Australia's best Imperial IPA is included in this pack and it goes up against one of New Zealand's finest! I'm also very interested to try the Renaissance Darth Imperial Black Saison and the Wolf of the Willows ISA. Anyway enough stuffing around, time to get into the beers! Boatrocker in Braeside has not been around that long, but they have quickly developed a reputation as Melbourne, if not Australia's, best sour brewer. Miss Pinky is a Berliner Weiss brewed with 100kg of raspberries. It's one of the oddest looking beers I can recall seeing! It pours a cloudy light pink colour that reminds me of a childhood medicine... That aside it's a lovely beer with good, yet not excessive, tartness and a light raspberry flavour. I would certainly drink this again, it's lovely! 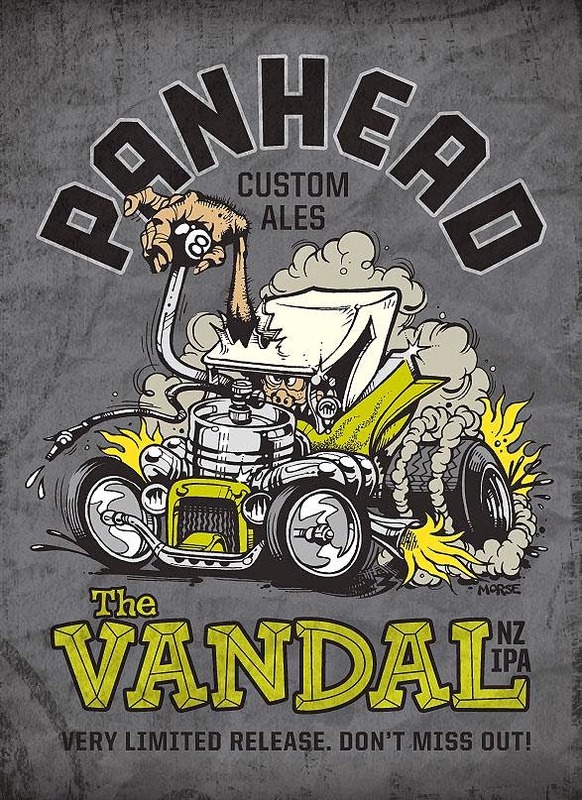 Panhead's Vandal is a beer that has been reviewed on Beer O'Clock Australia before, read about it here. It's a seriously impressive New Zealand Imperial IPA, which I am beginning to think belongs alongside the like of Epic Hop Zombie and Garage Project's Pernicious Weed as one of the best IPA's coming out of NZ! If that's not a glowing enough endorsement I don't know what is?!?! Sticking with the Panhead theme, we are now moving onto their Whitewall - another beer reviewed here previously. (There's some serious Panhead love here!) The tap version of this beer is incredibly quaffable! It's got Stone & Wood Pacific Ale vibes with the hop bill, with just enough wheat to know that it's there, without ruining the drinkability. The bottled version has a little more wheat but is still incredibly good drinking! Definitely one for people who prefer lighter things. Next up I moved onto Emelisse's Earl Grey IPA. As regular readers of this blog would know; I'm a huge Emelisse fan! This Dutch brewery produces some seriously good stuff and the Earl Grey IPA is no exception. There's plenty of bitterness and fruit flavours from the hops and the finish has a light herbal tea-like aroma and flavour. 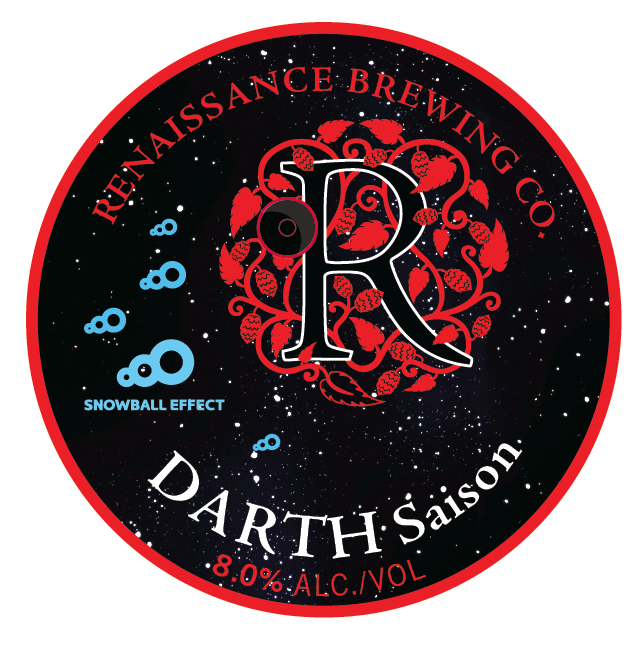 Darth Saison from Renaissance was next up. I didn't know what to expect from an Imperial Dark Saison, but this beer delivered! There's spiciness, there's some funk, there's plenty of banana, there's roastiness and there's chocolate! This beer has got all the individual elements you can imagine from the style and somehow brings it together into a brilliant beer! Rogue Hazelnut Brown is a beer I've had many times before. It's a beer that I've normally passed off as a run of the mill Brown Ale. Now that I've had it on tap all of that has changed! On tap there is this nutty character that combines brilliantly with the bitter chocolate taste I know. This is a brilliant ale on tap and one I highly recommend to all! Black Dog Brewery is run by a winemaker in central Victoria. 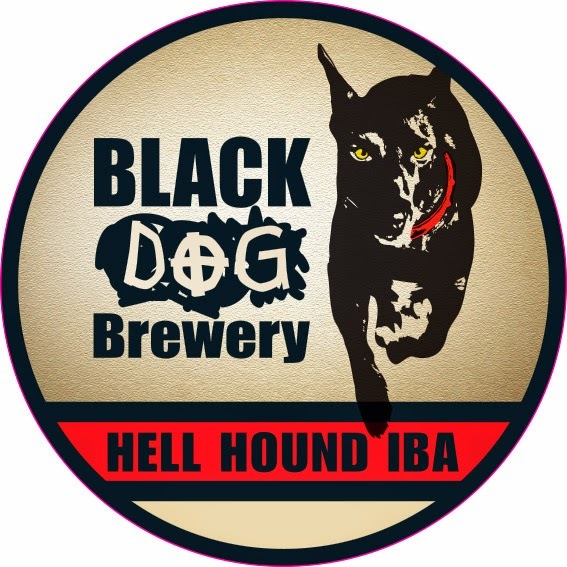 James produces some seriously good stuff and Hell Hound, his Black IPA, is my favourite of his beers. It's a style that is very difficult to perfect, and this highly roasty offering with plenty of pine and citrus bite on the back end is as good as Black IPA gets! I believe I am right in saying that Riverside 777 is the first beer to appear in the Bear Club twice. Being as rare as it is, I would encourage it being in many more packs! It's a brilliant Imperial IPA, possibly the best that Australia produces! It's got heaps of pine and citrus, as you'd expect, and is certainly not for the faint of heart with a very strong bitterness. 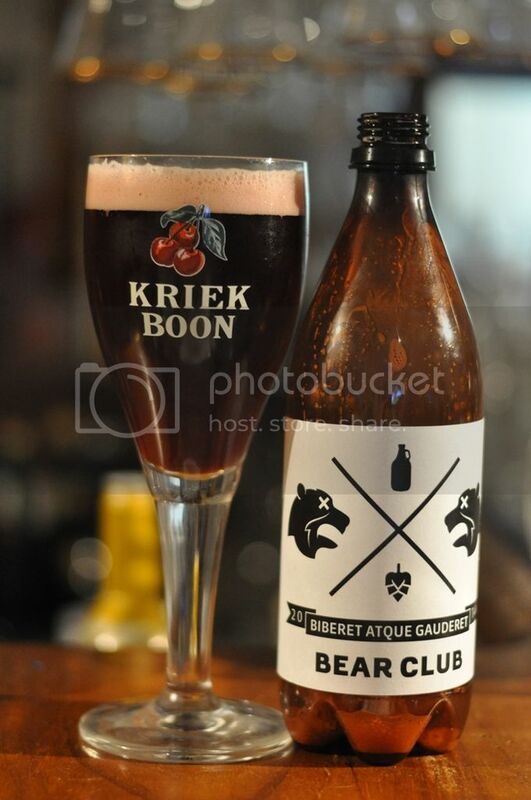 Saturday afternoon watching the footy seemed like the perfect time to crack into Boon Kriek. This is an iconic beer! As you'd expect from a traditional Kriek (cherry lambic) there is plenty of cherry sweetness and enough tartness to make it not cloying. It's a seriously good beer and one that everyone should try. The tap version is spectacular! The second Renaissance beer in this Bear Club pack was the Fifth Element (aka Chocolate Thunder). This beer was produced in collaboration with a Wellington bar's bar manager for their 5th birthday celebration and is a re-working of their Elemental Porter. This beer is backed full of dark chocolate flavours with a little roast and spiciness at the back end that makes it a special beer! MoonDog's core range gets some mixed reviews; but one think most people agree on is that their sours are excellent. Mr Mistoffelees is a Passionfruit and Mango infused sour, and it's sensational. It's even better off tap with huge passionfruit flavours. If you love sours you have to try this beer. I have no idea how this beer managed to slip to last in the February Bear Club pack! Wolf of the Willows ISA (India Saison Ale) is the much anticipated followup to their excellent XPA, and I have to say it was excellent. It was predominantly a Saison, which was lovely and dry, but with nice tropical fruitiness and some bitterness coming from the hops. It's one to look out for! This Bear Club review has been full of high praise. I will go as far to say that this is the best Bear Club pack yet! If you are reading this review and thinking you want 3 or more of these beers; JOIN THE CLUB! If you're interested in drinking the best quality beer that can be sourced in Australia, call Anton and say I sent you - he'll look after you. And when in the future you run into me, you can buy me a beer for suggesting one of the best decisions you'll make this year.